The cult painting Black Square was created in four copies. The two are owned by the Tretyakov Gallery, one is in the State Russian Museum in St. Petersburg. The fourth painting was acquired by Russian Inkombank from the artist’s relatives in 1993 for USD 250 thousand. The picture allegedly was rediscovered by the family in a closet at the bottom of a box with potatoes. In 1998, the bank used the Black Square as its main asset in settling accounts with its creditors as it went into bankruptcy. The global art market hyped up, the Russian government banned an open auction lest the masterpiece leave the country. 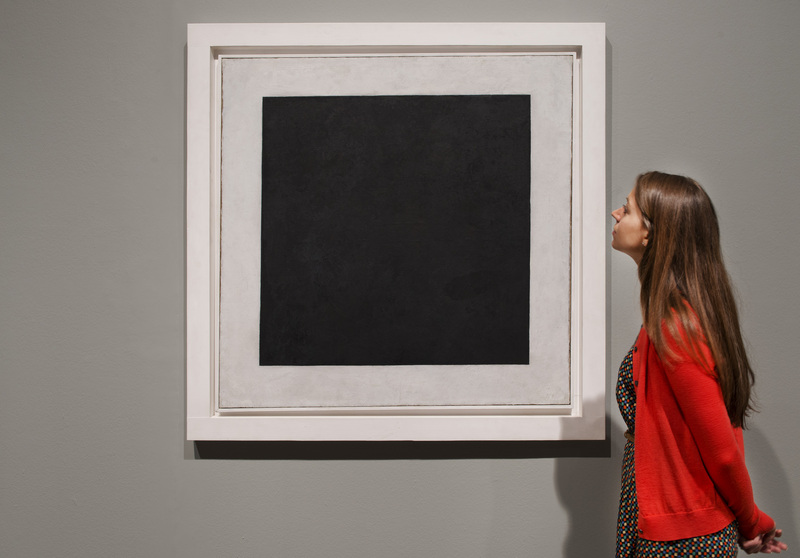 In 2001, that Black Square was sold for USD1 million to Russian tycoon Vladimir Potanin, owner of Norilsk Nickel, who then handed it over to the State Hermitage Museum in St. Petersburg. 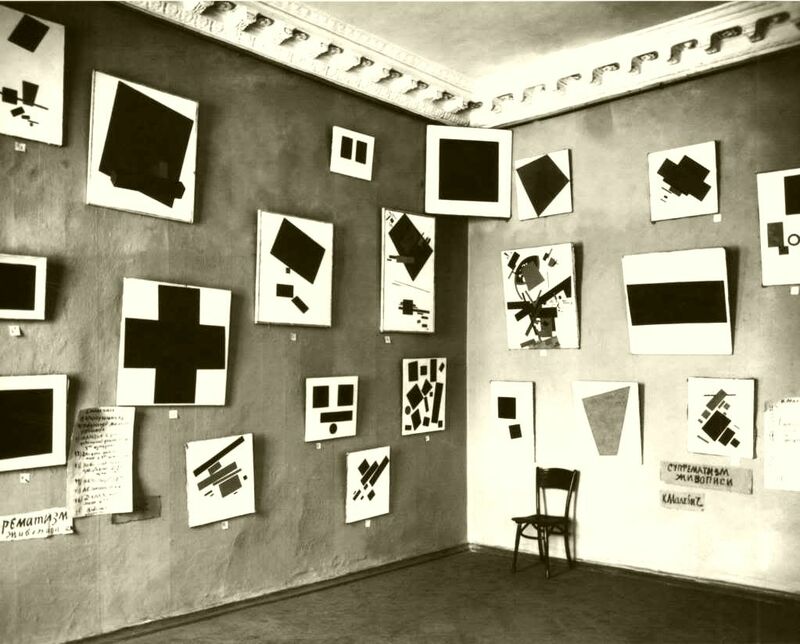 The first and the oldest version of the Black Square was unveiled in 1915 at the Last Exhibition of Futurist Painting 0.10 in Moscow. The name of the exhibition stands for: concept of "0" means the end of art in its traditional sense, and "10" is the first avant-garde step in the direction of the unknown. By this step Malevich meant the Suprematism. However, his fellow exhibition artist's forbade him to use the word as they did not understand what Malevich had in mind. The Suprematist movement for the first time in the history of art, proclaimed supremacy of shape and colour over image. It is believed that with this exhibition Malevich actually managed to "bury" the old. It is said that Picasso lost interest in Cubism after he had seen the Square. 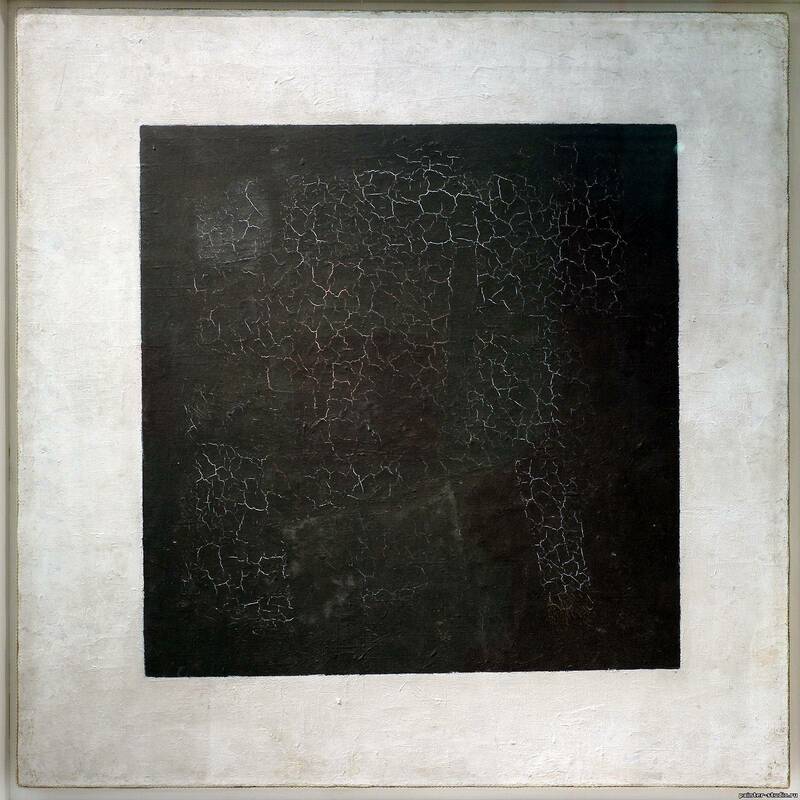 The second version of the Black Square in 1923 Malevich had to paint because by-then crack-painted original looked awful: over time the paint has just peeled off from spectacular blackness of previous canvas. This is what happens when the picture is painted on top of the other. 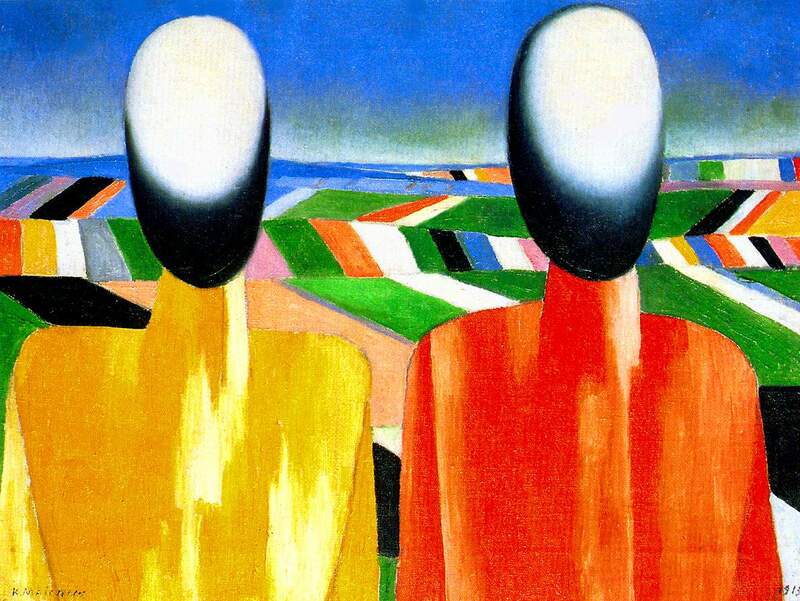 The poor Malevich did not really have a blank canvas, and he had to experiment on his older jobs. Later, with help of spectral analysis, conservators restored "original" picture. It turned out to be a red triangle inscribed inside a square. The Black Square is painted with small accented brushstrokes in the Impressionists style. Interestingly, it is made of mixed colours, none of which is black. Besides, none of its sides are parallel to the frame. It turns out that the black square is not a square, and certainly is not black. Initially, the masterpiece had the name of the Quadrilateral. Malevich left the following signature on the painting: "I STARTED everything." Malevich said that it had been painted in a sort of "ecstatic fury" when he "seen fiery lightings on the canvas." When delivering a public lecture at the closing of the 0.10 exhibition, Malevich called the square his second ideal "ego", "living royal infant, a child of the fourth dimension and risen Christ." This work became his business card, signature and obsession. A few years before his death he designed for himself the Suprematist style coffin with black square and triangle on the lid. The last square in the artist's life was the foundation of his favourite oak tree in the Nemchinovka Village (a 100-by-100-centimeter) where, according to his will, he was buried. The story goes that in 1930, during his second imprisonment (for "spying for Germany") Malevich invented faceted table-glass. Artist supposedly "got sick and tired" with the fragility of official drinkware and he decided to reinforce it with "strengthening ribs". Released, the artist shared his idea with the author of the sculpture the Worker and Collective Farm Woman Vera Mukhina, and together they designed this cult USSR object. Sad to say, this is a myth. Faceted table-glasses have been produced in the city of Gus-Khrustalny since 1943. Newly designed form was fit to be washed using just invented dish washing machines. So glassware breakage was prevented. Nevertheless, Malevich still laid the foundations of Soviet design. Our grandparents and even parents will remember eau de cologne Severny, which was manufactured until the mid 90s. Its bottle was designed by the artist in 1908 when he was in need of money, at the request of the famous Russian perfumer Alexandr Brocard. The bottle looked like an iceberg with a proud polar bear on the top. 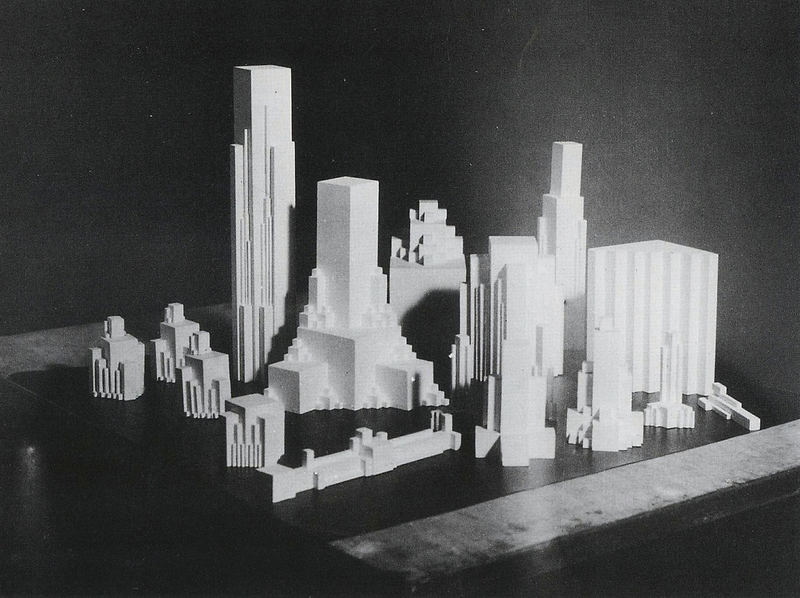 Cardboard, plaster and wood were used by Malevich to design three-dimensional architectural models, which he called "architectonics": the volume composition in which geometric shapes "bumped" into each other at right angle. The artist believed that it will be the future architecture. And although that time he was ridiculed, configuration of many vertical architectonics really resembles modern skyscrapers. In addition, it is believed that Malevich’s ideas were used in the design of the main building of Moscow State University.